Welcome and well done - You realise that you have an issue or issues to resolve and have taken the first step to resolving them. By considering counselling you are on your way to identifying therapy as a positive way to help you to explore ways of getting yourself back on track. Now you would like to know how counselling therapy can help you to achieve this. What we won’t do is give you advice. What we will do is support you by providing the setting needed to develop a therapeutic environment. Your Counsellor provides empathy and a servi ce which is confidential and non-judgemental. Can you see light at the end of the tunnel ? with social and emotional issues. It's how you handle those times that makes the difference. When you talk to your partner, does it feels as though you're talking to yourself or a brick wall. Do you feel as though your conversations just go round and round. You've’ talked, but you’re left feeling frustrated and confused. 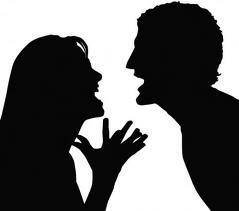 It’s not long before the talking turns into a shouting match. Certain topics are taboo because of what they might stir up. You’ve both said it all. Counselling and/or Mediation works by giving both of you the chance to be heard whilst helping you both to look at the issues and problems from each other’s perspectives. The term Mediation means different things to different people. 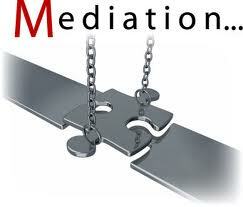 Mediation is an established process to resolve disagreements. Mediation is a cost effective, flexible process that can be used to settle disputes in a variety of situations - personal, work related etc. We as mediators are the impartial third party helping those in dispute to find a mutually and acceptable resolution. We provide the setting needed. Helping to resolve conflict which may exist in relationships, family and other circumstances.